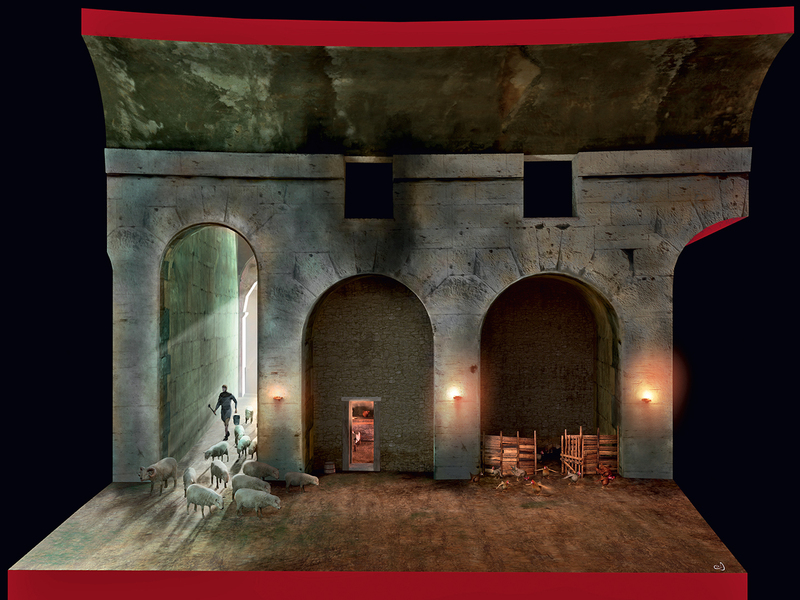 The completion of the Museum of the Colosseum on the second level of the amphitheatre is a first step in rethinking of a broader guided use of the monument by following thematic routes through its various spaces open to visitors. The starting point will be at specific landmarks signposted on the spot with carefully designed and effective signage that identifies and enhances significant itineraries. The archaeological excavations, studies and research work in recent years, presented in exhibitions and issued in richly informative printed publications, have made it possible to increase and flesh out our knowledge of the amphitheatre in the course of its long life, understanding the ways it has been reused, and ideological interpretations of it and finally presenting them with ever greater completeness. 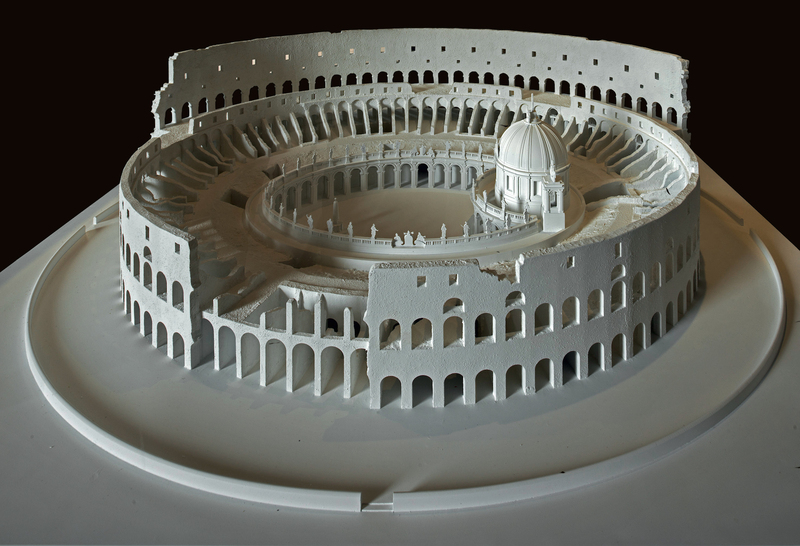 In the Museum’s exhibition itinerary, the most notable works from the building and from the excavations inside it are organised so to reveal the salient features of the monument, through hypertextual and hypermedia presentations, while also explaining the reception of the Colosseum in the history of culture. The starting point is the section on architecture, with the presence of parts representing the whole, with capitals and fragments of transennae (barriers) and striking reconstructions of the vomitoria (passages). At the same time the display evokes the power of the monument as a model of architecture over the centuries. 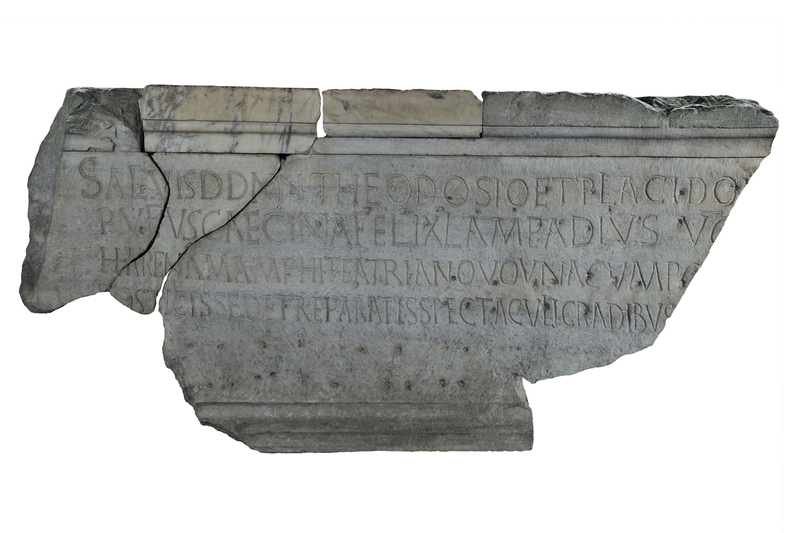 On a pillar appears the signature left by Hubert Robert on the “living body” of the Colosseum, in a sort of existential identification with it by the French artist. In the paintings reproduced in the illustrations, he faithfully portrayed the ways the ground floor was used, reflecting functions that were already common in the late Middle Ages. 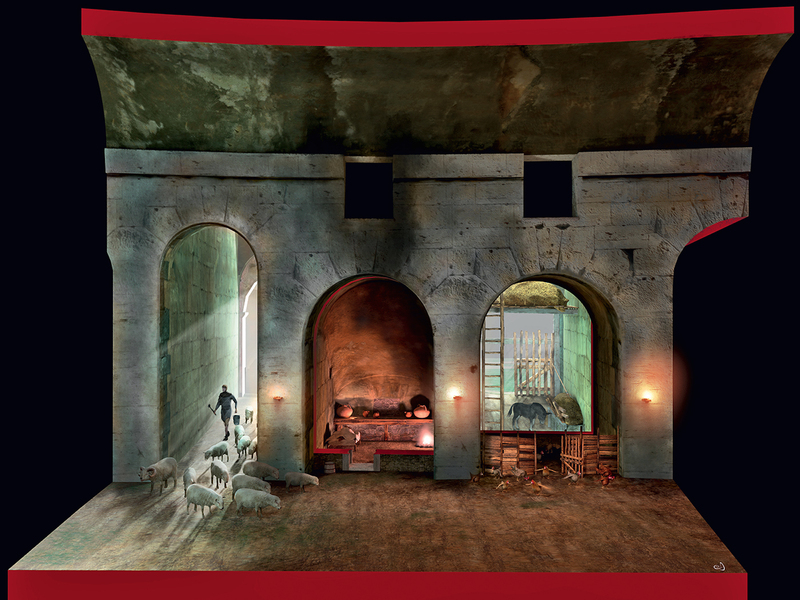 A subsequent section illustrates the functioning of the amphitheatre and gives an account of daily life inside it through models and finds exhibited in a showcase. The following bay presents the profession of the gladiator and the subjects of the venationes (animal hunts) through the presentation of graffiti, mosaics and reliefs and brought out with powerful images from Gérôme to Scott. The other side is devoted to the spectators, with the loca (seats) for senators. The display brings out the significance of the inscriptions, with a diagram of the divisions of the tiered seating. An extraordinary repertoire of marbles presents the rich sculptural ornamentation of the monument. Wherever possible, the original locations of the decorations are presented visually. This is followed by insights into the life of the Colosseum in the Middle Ages and its “Christianisation” and, as a counterpoint, the evocation of a “magical” and demonic Colosseum. The scholarly reconstruction in the model made by Lucangeli responds to the “leafy arches” of Romantic views and the writings of visitors on the Grand Tour. The route comes to an end with a section on the ideological reuse of the monument as a symbol of the new empire during the years of the fascist regime.